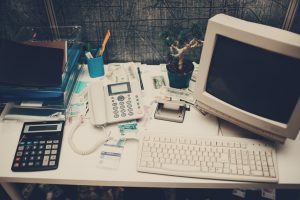 Spring Clean by Clearing Out Dated IT Assets | HOBI International, Inc.
A technology refresh cycle establishes a predictable process for swapping out old technology with new assets every few years. It comes with a host of considerations. Sometimes a refresh means a simple software upgrade and other times it means a complete overhaul in the repair show. And sometimes, it means that equipment is out of date and no longer viable and is retired from service. Having a way to keep up with and track your assets’ use can aid organizations in making informed and cost-effective decisions on how they use their assets now and in the future. A good equipment refresh is something every company should consider to ensure optimal working conditions for their assets. With just a couple of weeks into the spring season, it’s time to tackle some spring cleaning — so why not begin with your tech devices? Here are five reasons why you should refresh your enterprise’s tech. We get that tech refreshes can get expensive, but maintaining it will start to cost you more and more as time goes by. You will have to troubleshoot it more, patch it more, and customize it more to keep it functioning. And eventually, you’ll have to replace it anyway. Upgraded equipment will also increase productivity while reducing spending on IT infrastructure. Adding new equipment may seem expensive, but when you compare costs, you may find your save capital by investing in upgraded technology every few years. Technology often incorporates large trends. For example, the use of mobile platforms has grown exponentially. Your older equipment likely cannot take full advantage of those trends. Things like high bandwidth streaming, advanced VoIP solutions, and other modern trends may sit just outside your reach. You won’t have the ability to take full advantage of them because your current technology simply cannot handle these things adequately. As these and other innovations arrive, the will likely affect the current generation’s technology. A refresh recycle will spring up to accommodate them. Improved performance and capabilities can help to future-proof your IT functions for a while. In addition, if new regulations change your industry’s technology compliance requirements, you will already be in a position to accommodate them. As your older systems become obsolete, you will start to notice an increase in failure rates, and a corresponding increase in downtime. It will likely occur because the business will continue to grow in order to compete, while the equipment will continue to stagnate, age and lose its viability. Refreshes should occur proactively rather than reactively if you want to reap the most benefit from them. An integrated approach to a refresh cycle works best, but you will need help. A reputable technology solutions service provider can help with the refresh and implementation. Luckily, HOBI International, Inc. is an R2, ISO 14001 and WBE certified company that is a leader in enterprise IT and mobile asset disposition. We offer a full suite of closed-loop vertically integrated ITAD services, such as innovative reverse logistics solutions, state of the art data destruction methodologies and environmentally sound recycling and resale.